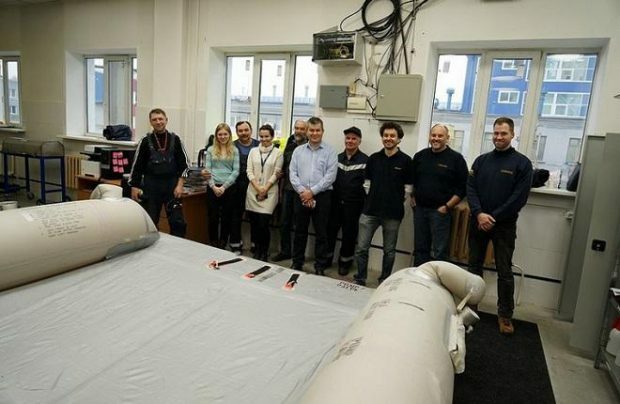 Russian carrier Ural Airlines has inaugurated an escape slide repair facility following an EASA audit. Based on the premises of the component maintenance shop at Ural Airlines’ Aviation Technical Center (ATC) in Yekaterinburg, the division has already had its technicians complete training course with Lufthansa Technik and in-house training at the ATC. The facility will soon perform a full range of emergency and safety equipment services on the carrier’s Airbus A320 family. Ural Airlines’ ATC has been operating as an independent maintenance provider for its fleet since 2015. The center performs line and base maintenance, non-destructive testing, and components services. The center services all of the A320 family types. Sitting on 8,256 square meters of floor area, it has a hangar capable of accommodating four A321s, or two A321s and one A330). The center mainly services the parent carrier’s fleet, but also caters to other Russian and foreign carriers.